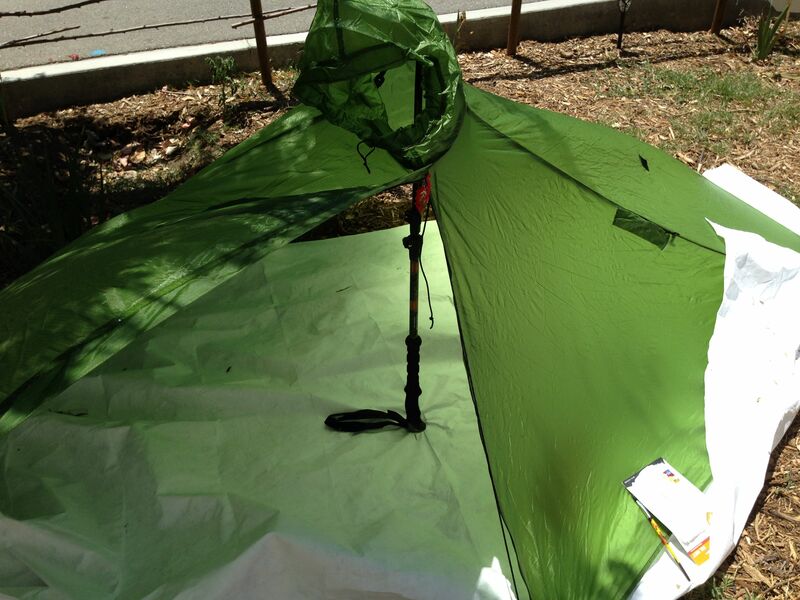 Gatewood Cape Poncho Tarp. Shelter that doubles as a rain poncho, supported by a trekking pole. must hop around. The game is to make all the right calculations so the adventure is enjoyable, even transcendant, despite the possible hardships of travelling on foot for days in an unfamiliar wilderness. I ask you, are there many hobbies that are so all engrossing of your entire being as long distance backpacking? It makes you feel so alive! For this one trip I’m putting two different sleeping bags in the car and will switch out between trips. I’m making some variations to my wardrobe for each trip. For example I may take a cotton shirt to hike the high desert, because on a 90 degree day a sweaty t-shirt is divine. I will also take tall thick socks for the high sierra, but short thin socks for the high desert. 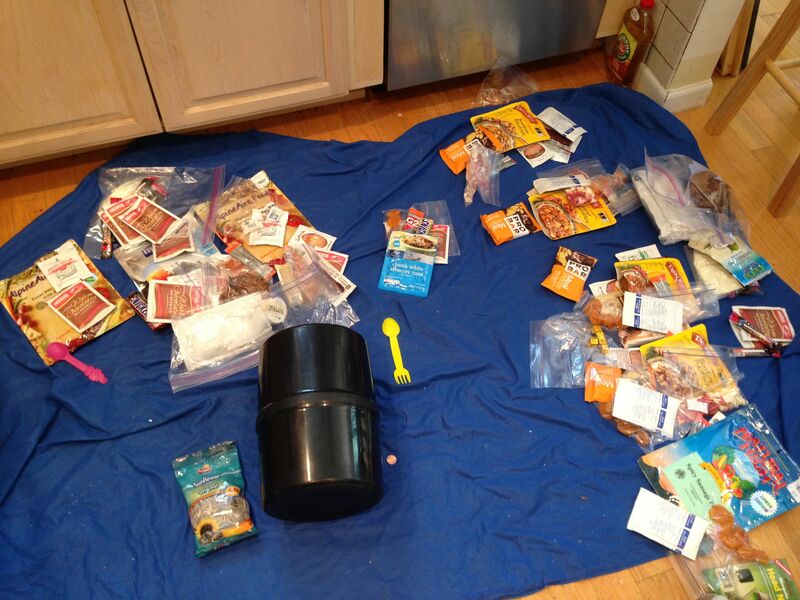 I’m planning to cook dehydrated meals in Yosemite and eat no-cook food where water is scarce. I may not take a stove at all to the high desert. I’m still trying to decide if I will carry a bear canister in the high desert. The 3 lbs it represents makes me shutter, but the peace of mind at night seems worth any weight at the time. That is detail is still TBD. My food for the week. Yosemite 3 days on left. PCT 5 days on right. And a guest appearance by the dreaded and beloved bear canister. Isn’t this weight-saver below a fun one? 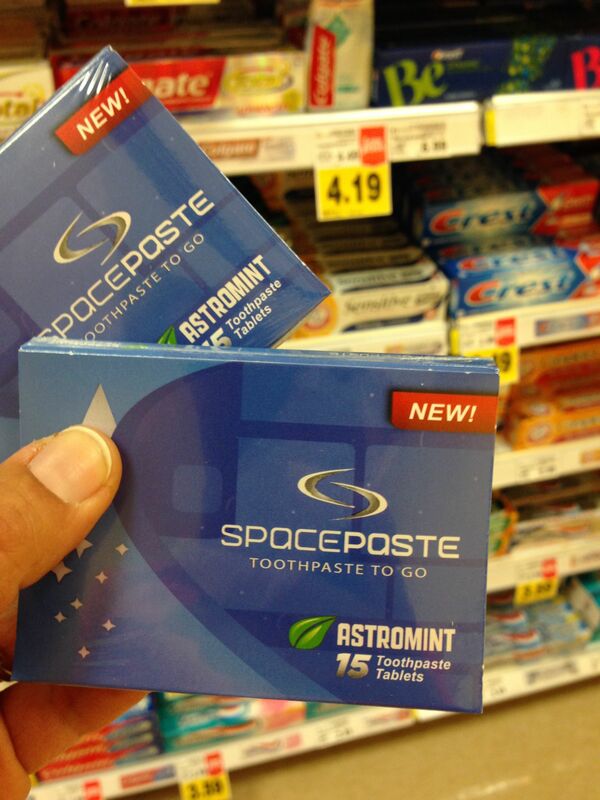 Toothpaste tablets that I found for sale at Ralphs grocery store! 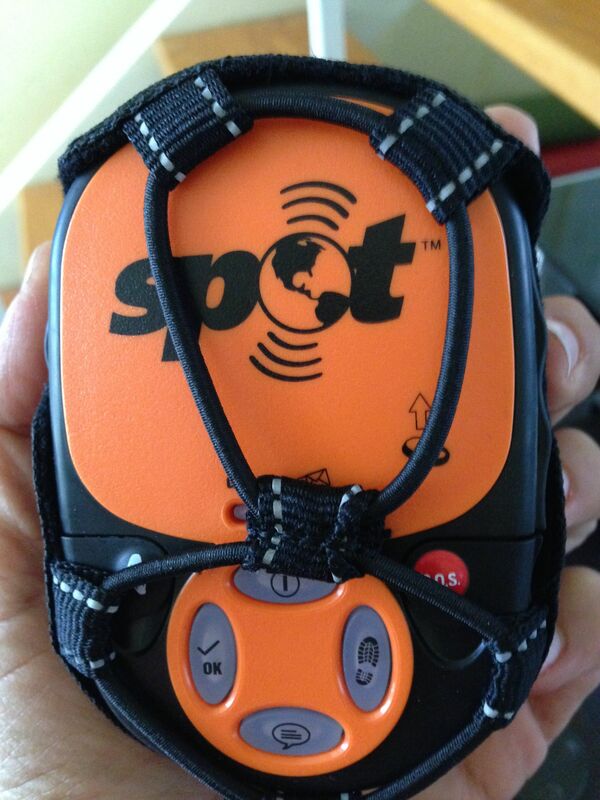 If I fall off a cliff, hopefully my thumb will still work so I can press the SOS/Call for rescue button on my SPOT device (picture on right). I must say that just owning this device gives me tremendous peace of mind what with venomous snakes lying in wait under every bush I plan to squat behind when “nature calls”. I read a book called Graphic The Valley in which the protagonist kills an attacking mountain lion by shoving his fist down its throat and suffocating it to death. I am SO going to do that if I get attacked by a mountain lion. Please don’t tell me how unlikely that tactic is to work. My fantasy of my heroism over such a beast brings me both peace and joy. Next 52 Miles in 2 1/2 Days – Crushed it!